M6 Comfort comes with the Intelli Wrap Cuff technology, which supports 360 degrees accuracy, enabling accurate results in any position around the upper arm. 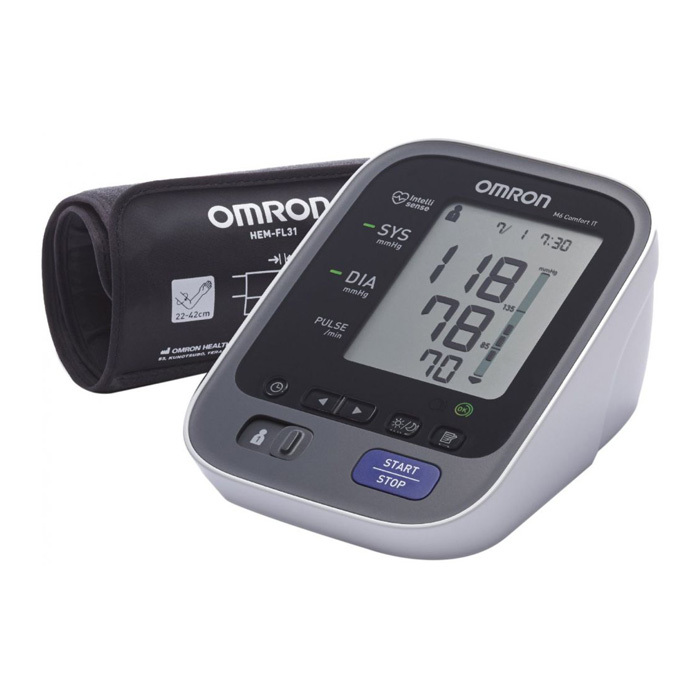 OMRON’s blood pressure devices help to monitor hypertension, the main risk factor for stroke. High accuracy and quality are essential considerations when selecting a blood pressure monitor. That’s why OMRON continuously innovates to improve the accuracy of home blood pressure monitoring. We have designed our devices and cuffs in such a way that the risk of incorrect measurements is reduced. Stroke prevention – Helps detect stroke risk factors. On a first glance, people find cuff placement “easy”. HOWEVER, OMRON research has shown that 1 out of 3 people measure their blood pressure incorrectly due to placing the cuff in the incorrect position³. Incorrect cuff usage is considered to be a significant cause of inaccurate blood pressure measurements. Errors due to cuff positioning are history with the OMRON Intelli Wrap Cuff. Regular cuffs can cause inaccurate or variable results when positioned incorrectly. This is due to the small zone on the cuff where accurate measurement is possible. OMRON’s Intelli Wrap Cuff has an accurate measurement zone that wraps 360° around the upper arm, making it virtually impossible to place the cuff incorrectly. Use of the Intelli Wrap Cuff can help to significantly reduce the amount of errors made in home blood pressure monitoring, increasing the overall accuracy of results. 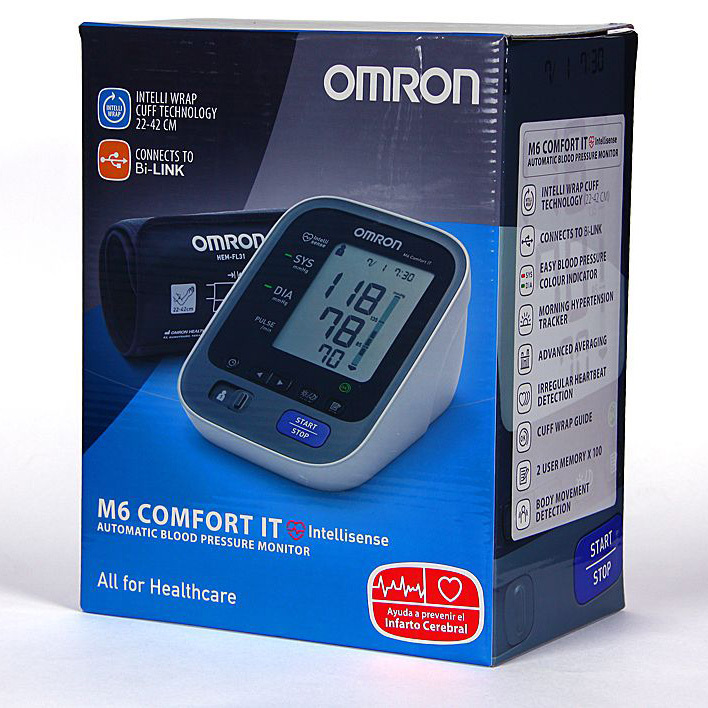 OMRON’s blood pressure devices help to monitor hypertension, the main risk factor for stroke4. High accuracy and quality are essential considerations when selecting a blood pressure monitor. That’s why OMRON continuously innovates to improve the accuracy of home blood pressure monitoring. We have designed our devices and cuffs in such a way that the risk of incorrect measurements is reduced.